Guys, I'm starting a book club! I've been dreaming about hosting a book club for a very long time. I love books. I've always loved books. And I want to connect with others who share my love for books. So here's my plan. I'll pick a book every for every month (I'm open to suggestions!) and we will read it together. At the end of the month, I'll host an online discussion here on the blog. I'll let you know the book a month before so you have time to buy or download the book or put it on hold at your local library. If you're like me and have been wanting to make more time for reading, this will be a fun way to read together. 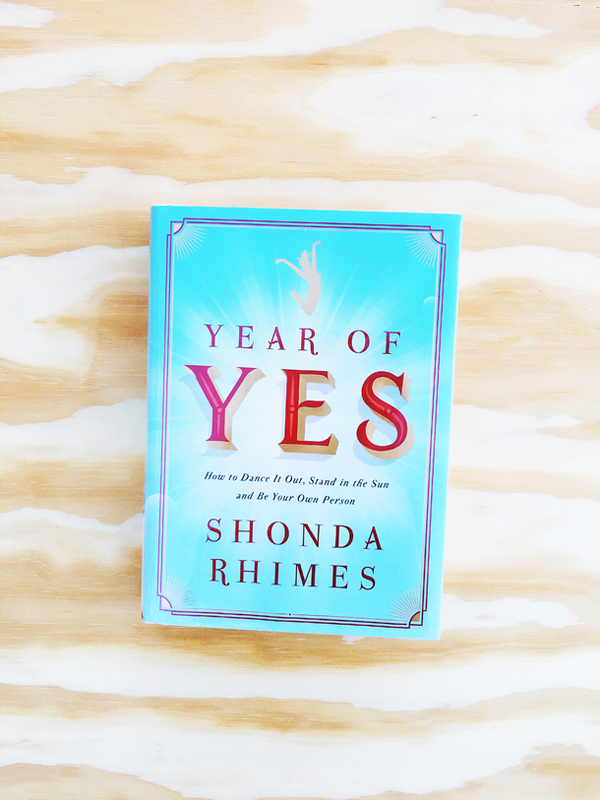 I'd love it if you'd join me in reading Year of Yes. At the end of the month, on February 24th, we will have our discussion. If you've already read it, great! Stop by the comment section to join in the conversation! Let me know in the comments if you're in! Previous Post Getting My Real Estate License! Im in! Do you know if its at the library? Great! Yes, it is! I has a long hold list, so reserve it now!